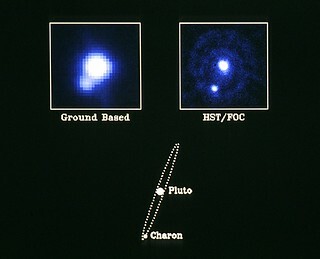 NASA's Hubble Space Telescope has obtained the clearest pictures ever of our solar system's most distant and enigmatic object: the planet Pluto. The observations were made with the European Space Agency's Faint Object Camera. 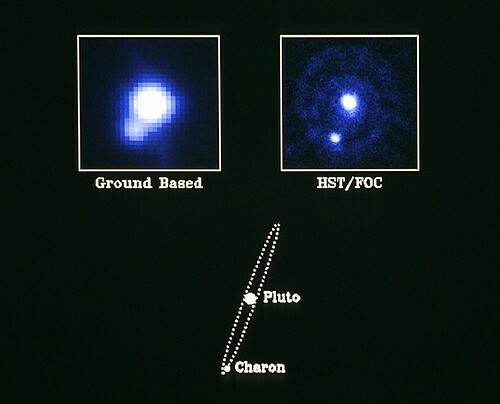 The ninth and last real planet known, and the only planet that has not been visited by a fly-by spacecraft, Pluto was discovered just 60 years ago by the American astronomer Clyde Tombaugh, who was searching for the source of irregularities seen in the orbits of Uranus and Neptune. It has become apparent since then that Pluto is a very peculiar object.